We are looking for some mechanic employee. Come to visit us and apply for the job! 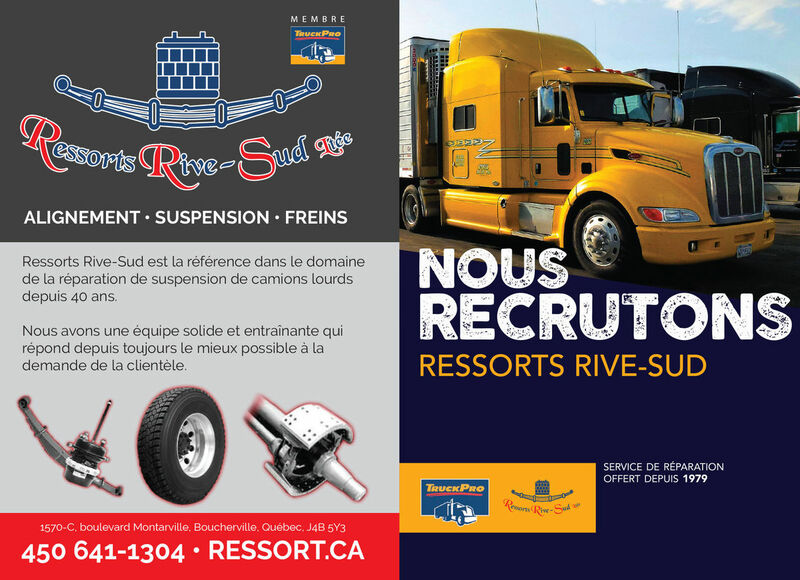 Ressorts Rive-Sud is the reference into the heavy duty suspension and alignement truck and trailer since 40 years. We are established with a lot of contatc and we can help you to response your need rapidly.